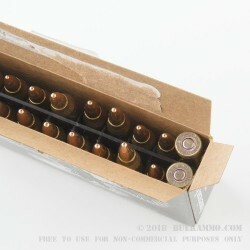 These .223 Remington cartridges from Federal have comparable specs to M193 ball ammo, firing a 55 grain full metal jacket boat-tailed bullet at about 3,240 feet per second. 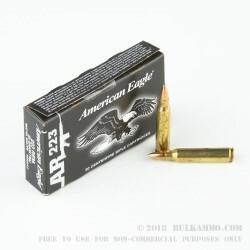 The perfect target load for your AR-15 or other .223/5.56 rifle! 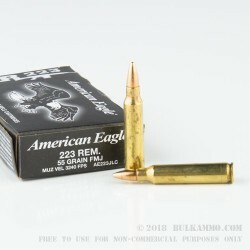 Federal Premium Ammunition of Anoka, Minnesota is particularly notable in the AR-15 world due to its status at the contract operator of the Lake City Army Ammunition Plant in Missouri. 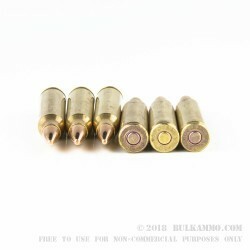 Federal .223 is accurate, reliable, and relatively inexpensive due to the sheer amount of it being made.